EUR is chiefly under the influence of Eurozone economy state. 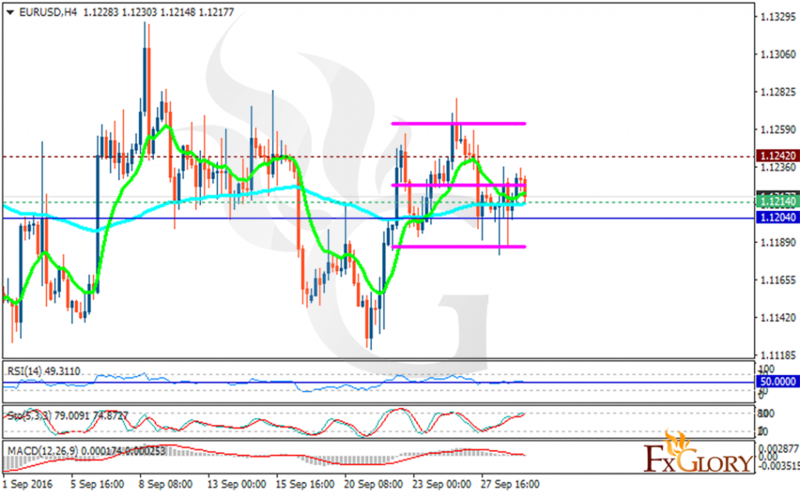 The support rests at 1.12140 with resistance at 1.12420 which both lines are above the weekly pivot point at 1.12040. The EMA of 10 is moving with bullish bias and it is located above the EMA of 100. The RSI is falling down on the 50 area, the Stochastic is moving in its high ranges and the MACD indicator is in positive territory. In terms of the support level breakthrough the price may not fall lower than 1.1150 however considering the price growth the pair will target 1.1250 area.